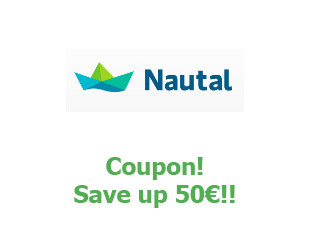 Make your purchase Nautal with additional savings of 5%. Boat rental in Spain at the best price! Nautal is a leading boat rental agency in Spain. It has 23,300 ships in 43 countries. The web has a search engine that allows you to select according to customer preferences and book 100% online from 75 euros. The most popular destinations are: Croatia, Greece, Caribbean, Barcelona, Mallorca, Menorca, Ibiza, Marbella, among others. Nautal offers up to 40% discount. To use a Nautal promo code, just fill your cart. The savings will be automatically added at checkout.